Edward Heald was born in Hood River Valley in Oregon. He graduated from Oberlin College in 1907 and after marrying Emily Ainsworth of Moline, Illinois, he ran a business in Perria. He was employed as secretary of the YMCA at Colorado College. He later served in similar posts in Manhattan (Kansas), Toledo (Ohio) and Davenport (Iowa). During the First World War Heald volunteered to join the YMCA's International Committee. The following month he was sent to Russia where he monitored the treatment of prisoners of war. Heald wrote regularly to his wife and parents while he was in Petrograd. In 1916 he reported on the death of Gregory Rasputin. On 27th February, 1917, Heald wrote: "Crowds of unarmed strikers and families gathered on the Nevsky Prospect during the day and order was preserved by the Cossacks. We anticipated a repetition of former times of disturbances when women and children were ridden down by the Cossacks. This time, however, they used no violence, but merely rode through the open lanes of the people, while the latter shouted at them 'You're ours' and the Cossacks smiled back." In May, 1917, Heald commented on the arrival of Vladimir Lenin in the city: "The sudden burst of radical propaganda, which has developed during the past week, is attributed to a man named Lenin who has just arrived from Switzerland. He came through Germany, and rumour is that he was banqueted by Emperor Wilhelm. As he entered the country through Finland, he harangued the soldiers and workingmen along the way with the most revolutionary propaganda." 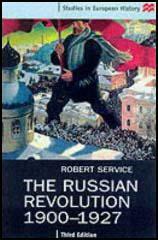 Heald wrote that he feared that the Bolsheviks would gain control of Russia: "The Bolsheviki were largely the forward, pushing, city type, while the non-Bolsheviki were largely the slow-moving, slow-thinking, good-natured, easy-going, country type. The non-Bolsheviki were on the defensive. They felt no conviction about any cause. They were not hostile to Bolshevism but simply kind of uneasy in their consciences about it. The Bolsheviki seemed to sense that fact and directed their attack to overcome that uneasiness." Edward Heald left the country after the Russian Revolution. While he had been in Petrograd he had written virtually every day to his wife and parents. 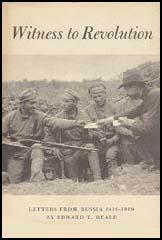 These letters were later published as Witness to Revolution: Letters from Russia 1916-1919. Much talk and excitement about Rasputin's murder. His body was taken from the Neva yesterday, within a mile of a bridge which I walked over coming back from the Mayak an hour after his body had been thrown in. Crowds of unarmed strikers and families gathered on the Nevsky Prospect during the day and order was preserved by the Cossacks. We anticipated a repetition of former times of disturbances when women and children were ridden down by the Cossacks. This time, however, they used no violence, but merely rode through the open lanes of the people, while the latter shouted at them "You're ours" and the Cossacks smiled back. We were told that the cordial feeling existed the previous day between the soldiers and the strikers had changed owing to the fact that one of the officers had been killed. The police still had control of the situation at least in the centre of the city. There were reports, however, that there were three hundred thousand armed strikers on the outskirts in the factory districts, and that when they could stop them. We also heard that the government had brought in quantities of ammunition, machine guns, armored automobiles, and tanks as well as large numbers of Cossacks to meet the emergency. The sudden burst of radical propaganda, which has developed during the past week, is attributed to a man named Lenin who has just arrived from Switzerland. He came through Germany, and rumour is that he was banqueted by Emperor Wilhelm. As he entered the country through Finland, he harangued the soldiers and workingmen along the way with the most revolutionary propaganda. One of the Americans who came through on the same train told us how disheartening it was. Lenin's first words when he got off the train at Petrograd were "Hail to the Civil war." God knows what a task the Provisional Government has on hand without adding the trouble that such a firebrand can create. The Petrograd Soviet was still in session when the Peasants' Convention opened up. Madame Breshkovskaya, the "Grandmother of the Revolution", who has recently returned from the long exile in Siberia, made a strong appeal for real democracy, and the peasants came back strong for democracy and against the radical Bolsheviki. The latter only got two or three votes out of eight hundred. In the Petrograd Soviet a radical, who had just arrived from New York, by the name of Trotsky, got up and made a demagogic appeal for the overthrow of the Duma and for the putting of the Soviet in power as the government. But the great leaders of the meeting, Kerensky, Tseretelli and Plekhanov, were against him, and the Soviet voted for participation in the Duma Government and a new cabinet by a large majority. The Bolsheviki were largely the forward, pushing, city type, while the non-Bolsheviki were largely the slow-moving, slow-thinking, good-natured, easy-going, country type. The non-Bolsheviki were on the defensive. They felt no conviction about any cause. They were not hostile to Bolshevism but simply kind of uneasy in their consciences about it. The Bolsheviki seemed to sense that fact and directed their attack to overcome that uneasiness.